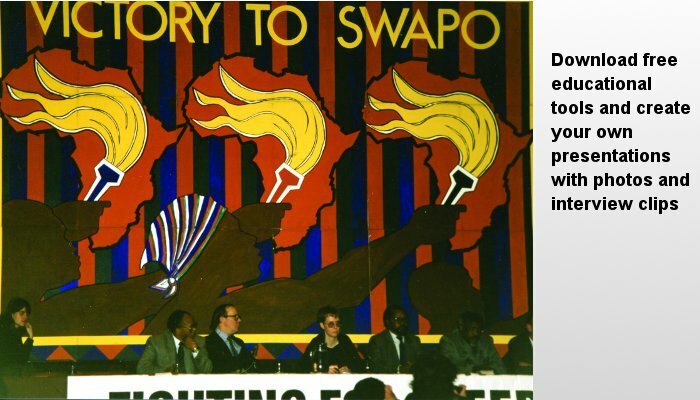 A new pop-up exhibition ‘Oliver Tambo – Building the Global Anti-Apartheid Movement’ is now available, celebrating Oliver Tambo’s centenary on 27 October 2017 (12 A2 lightweight boards). 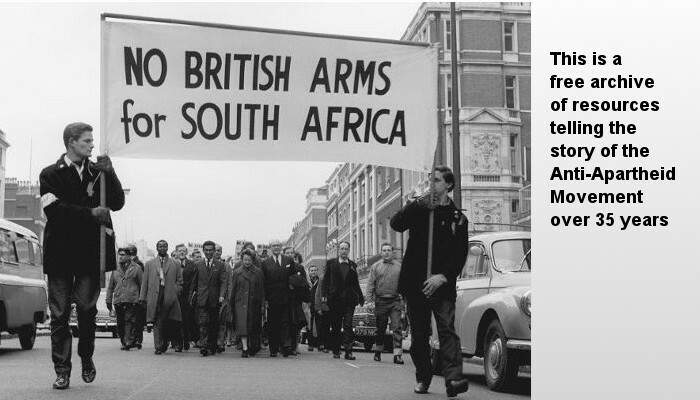 ‘Forward to Freedom’, an exhibition telling the story of the Anti-Apartheid Movement is also available (22 A2 lightweight boards). These video interviews are taken from the award winning film series ‘Have You Heard from Johannesburg?’, a Clarity Films production, produced and directed by Connie Field. 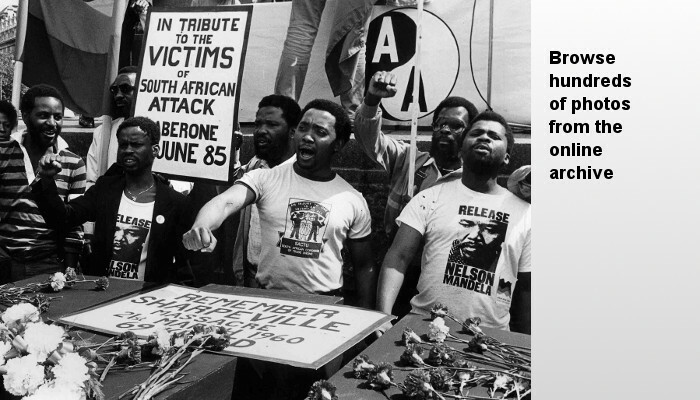 Forward to Freedom tells the story of the British Anti-Apartheid Movement and its campaigns to support the people of South Africa in their fight against apartheid. 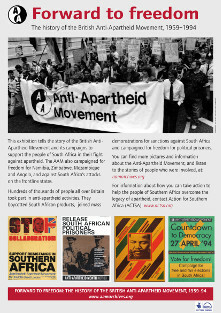 The AAM also campaigned for freedom for Namibia, Zimbabwe, Mozambique and Angola, and against South Africa’s attacks on its neighbours. 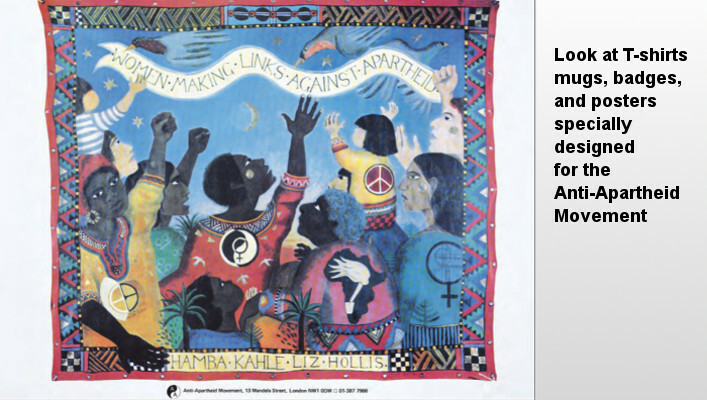 The website is part of a wider education project set up by the AAM Archives Committee that includes a pop-up exhibition and learning resources. It has been funded by the Barry Amiel & Norman Melburn Trust and the Heritage Lottery Fund, and organised in partnership with Action for Southern Africa (ACTSA). The AAM archive is held at the Bodleian Library, University of Oxford and is open to researchers on application for a Bodleian reader’s card. 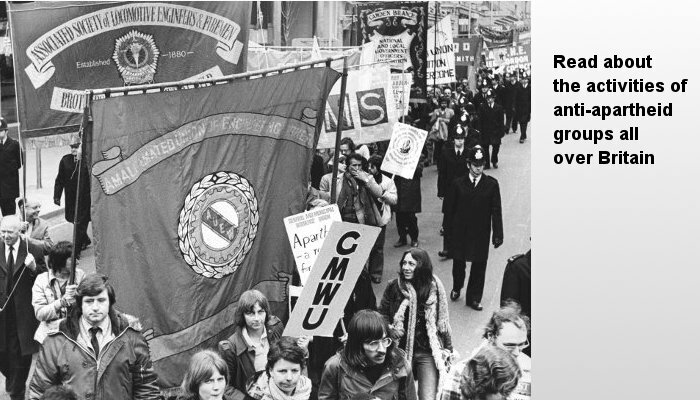 The archive of Wales AAM is at the National Library of Wales, Aberystwth and that of the Scottish AA Committee at Glasgow Caledonian University. 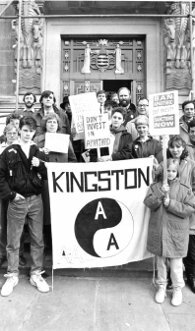 Records for many local AA Groups, such as Bristol, Birmingham and Edinburgh, are held at local record offices – see ‘Other Links’. 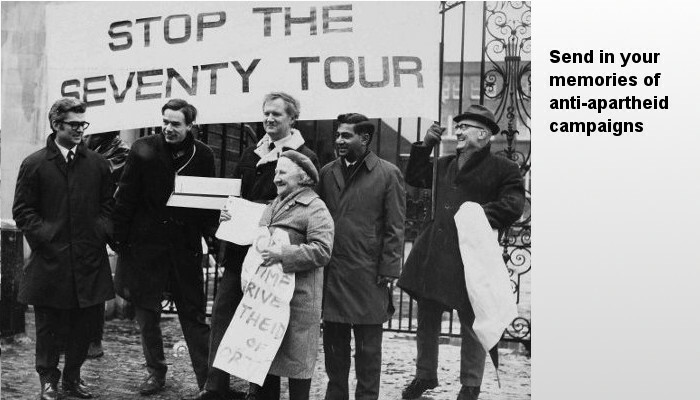 A significant part of this project was to record the experiences of former activists in Britain. Jerry Dammers formed the Specials in Coventry in 1977. 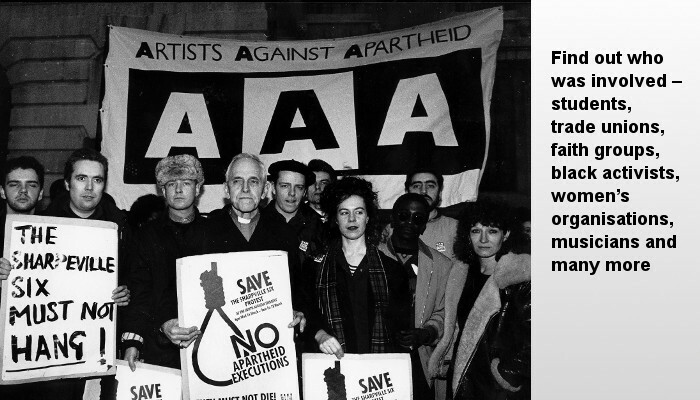 An anti-apartheid activist from his school days he helped start Artists Against Apartheid in the UK to campaign and help enforce the cultural boycott. 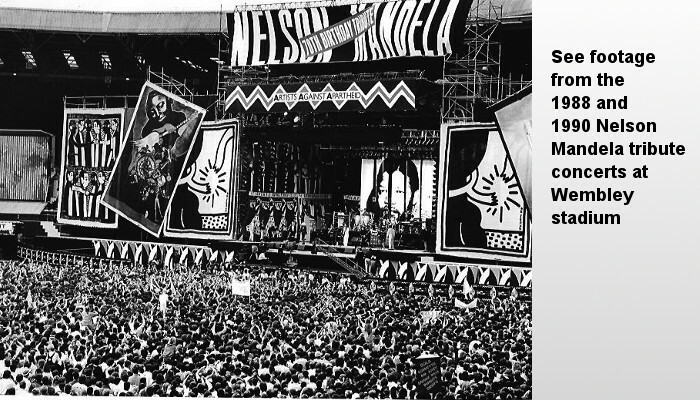 He wrote the song, Free Nelson Mandela, which became an international hit and helped raise awareness of the plight of Mandela and political prisoners in South Africa. You can hear him talk about writing the song. 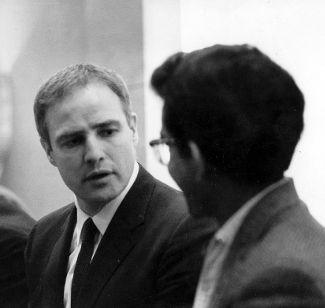 In 1964 Marlon Brando asked film directors, actors and producers to forbid the screening of their films before segregated audiences in South Africa on a visit to London. 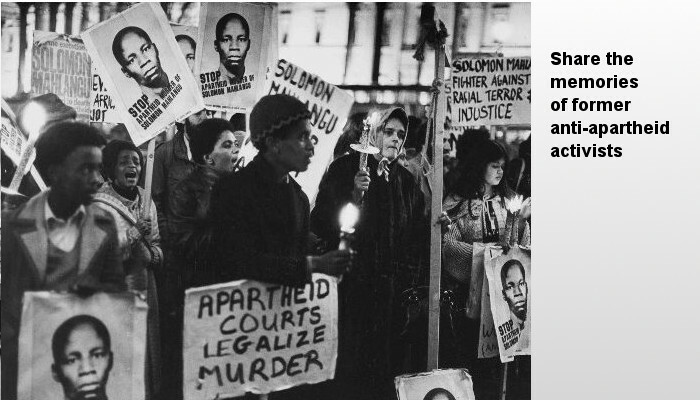 In this photograph he is at a press conference with the Anti-Apartheid Movement’s Hon. Secretary Abdul Minty. 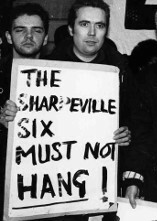 The Rolling Stones broke off negotiations for a South African tour and the Beatles announced they opposed apartheid. 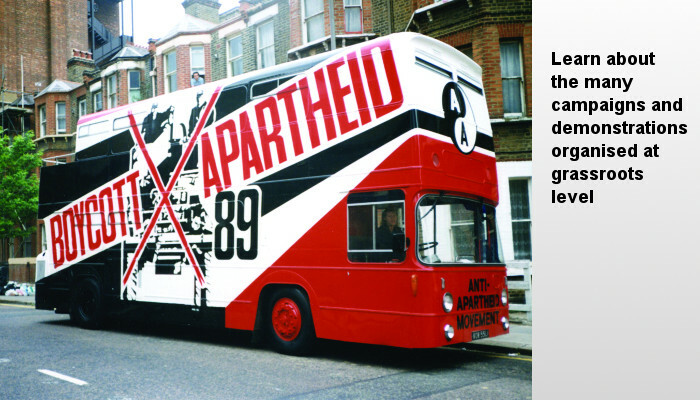 Read more about this history starting with the Boycott Movement in 1959, through the 1960s, 1970s, 1980s and 1990s.